When filing out your tax returns, you should remember that Unione Buddhista Italiana (Italian Buddhist Union) – of which A.Me.Co. is an associate centre – is one of the possible 8X1000 recipients thanks to an agreement UBI signed with the Italian government in 2013. 8X1000 is a way for the Italian state to give part of the tax refund money to deserving causes. These causes can be pursued directly by the State, or indirectly by religious Confessions which the State has agreements with, and that are recipients of a “quota” determined by each citizen’s choice when filling out their income statement. Thanks to this agreement, from 2013 onwards, the UBI was able to publish a number of tender notices for these funds, that are rarely given to Associate Centers, but rather to specific projects. L’AMeCo took part by presenting and handling projects and their budgets, following the requested scheduling and modalities, to receive funds. This work demanded and will demand additional use of human and economic resources to prepare, present and subsequently handle more projects and their budgets. We truly hope that the 8×1000 funds requested for this year will be dispensed to the A.Me.Co: this income would allow the Organisation to continue with it’s activities with more security, enriching and renewing them. Therefore by choosing the Italian Buddhist Union you’ll allow us to continue to pursue these important goals for years to come. Be careful: since 2018 the Istituto Buddhista Italiano Soka Gakkai (IBI SG) is also a possible choice recipient for the 8×1000. 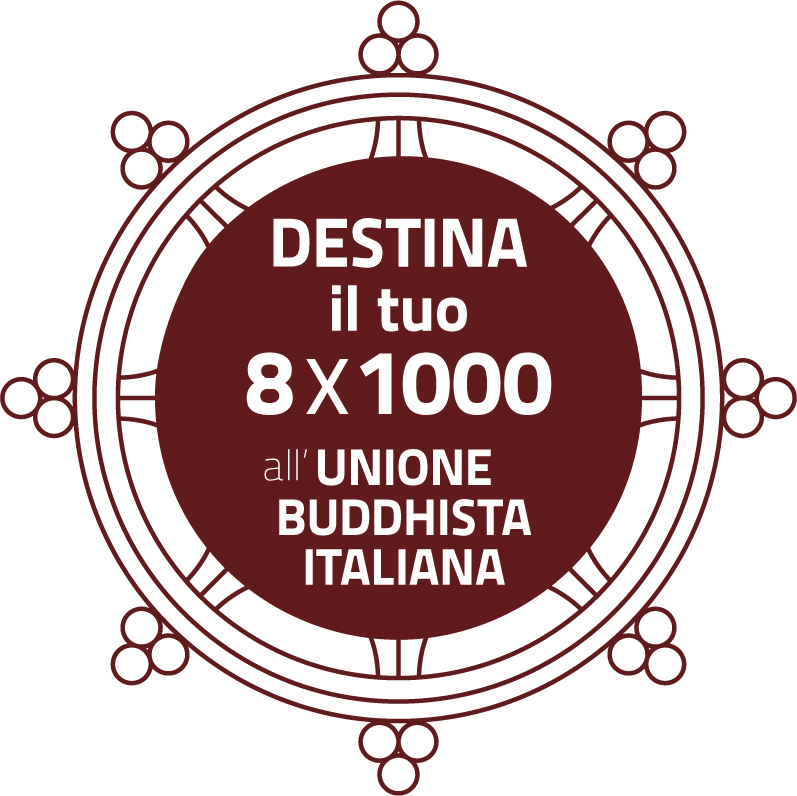 We ask you to spread the word about the chance to donate the 8×1000 to the Unione Buddhista Italiana to the greatest number of family members and friends possible. To prevent further confusion, we must highlight the fact that it is possible to choose, in the same tax refund model, to give 8×1000 to a Religious Confession (such as the UBI), and the 5×1000 to a non religious institution (such as Emergency, Medici senza Frontiere, AIRC, etc.). AMeCo is NOT a possible recipient of 5×1000 as it’s not a charity organization, carry out scientific health research, or cultural heritage preservation activities; or any other type of non-profit organisation of social value. We warmly thank you for the solidarity and help you’re giving us by donating to the Unione Buddhista Italiana with the 8×1000 tax refund. The Associazione per la Meditazione di Consapevolezza Governance council, and Lead Teachers Corrado Pensa and Neva Papachristou. Ezra Bayda and Elizabeth Hamilton at the A.Me.Co.